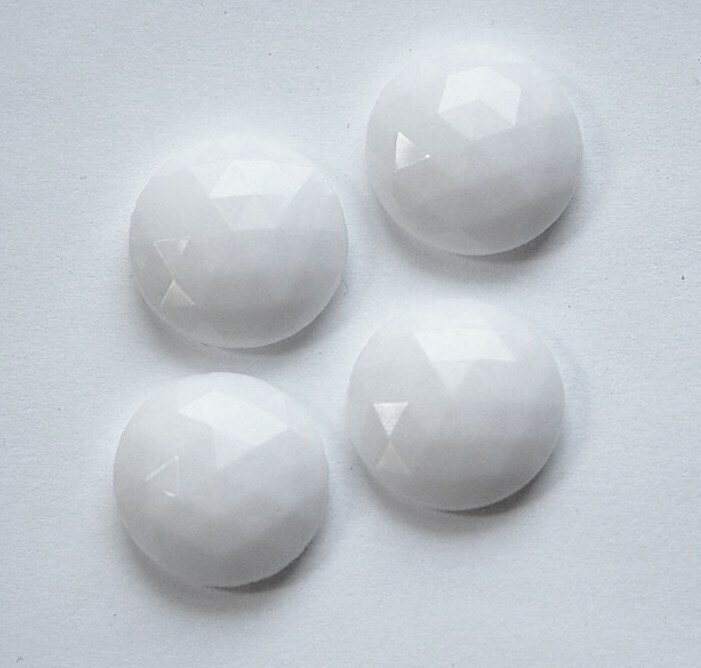 These are vintage white glass cabochons. 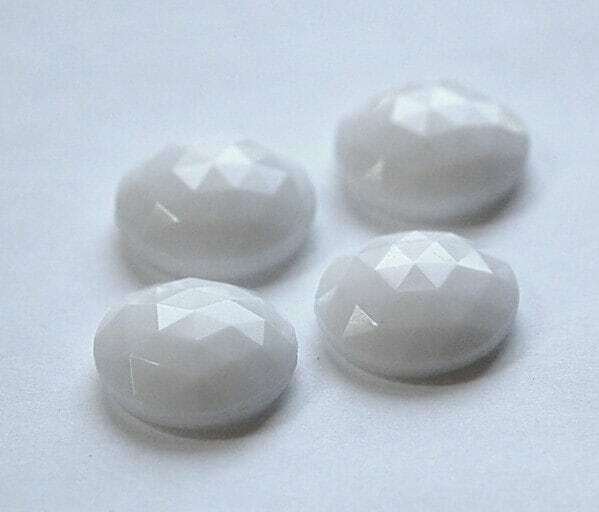 These have a faceted top and a button back with a rim for gluing. These measure 18mm. You will receive 4 pieces. They were exactly as described. Many thanks for everything. Thanks for the quick shipping!